Oliver Mulenga and a number of his close friends became concerned at the number of children that were living on the streets of Kalulushi, a town in the Copperbelt of Zambia. So he took action. Power Christian Ministries (PCM) now cares for 38 orphaned and vulnerable children, some of whom used to live on the streets. Currently the money provided by Bright Hope World is assisting these children with feeding, schooling and spiritual input. 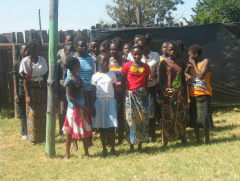 There are another 24 very young orphans who come to the saturday morning program, but are not funded into school. Every Saturday morning the children come to Oliver's plot where he has built two classrooms. After biblical devotions they are fed and three teachers come in and assist the children with extra tutoring in maths and English. They also play some games. The children’s school fees are being paid in full and they also receive books, shoes, uniforms and bags. PCM in Kalulushi, Zambia was officially registered as an Orphanage Centre in 2001, however the organisation originally started in 1999. The main emphasis at the time was to cut across issues of poverty among orphans and promote Christian principles. They had become concerned at the number of children who were living on the streets of their town so they started to get them together and care for them. Bright Hope World has been partnering with Oliver on this project since 2004. 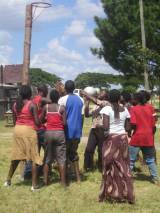 Presently there are 62 vulnerable children who are benefiting from the money sent by Bright Hope World. Oliver is a trustworthy and faithful worker. He took the initiative and saw a growing need amongst the children in Kalulushi in the late 1990’s and has been working for their benefit ever since. He keeps a watchful eye on the progress of the children and has their best interests in mind when making decisions about the project. 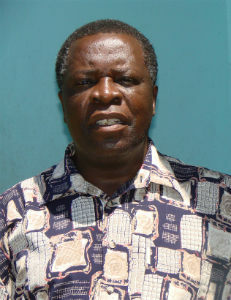 Oliver was trained by the Bright Hope World Field Director at GLO Bible College in Zambia in the mid 1980's. He is a colourful character and at that time had been involved in politics. After leaving training he shifted to the Kalulushi area and assisted with the development of a number of small churches and mentored a number of families. Many of them are now in ministry. In the 1990's he shifted into Kalulushi and started a block making business from which he has gained a living, supporting himself in ministry and assisting others to access training. Along the way he has helped many people at great cost to himself. Oliver continues to see many orphans in the area that need support. Currently the funds sent are not enough to provide all the school requirements for the children. We are still working with Oliver as to how best meet the needs of these vulnerable children in his community. The budget here helps cover the food costs for a meal at weekends, medical costs and school costs (school fees, uniforms, school bags, stationery) for the 38 children. Newton is 18 years old and has lived with his grandmother, sister and brother since he was 7 years old. The most important thing he remembers his mother teaching him is to be humble and treat others well. 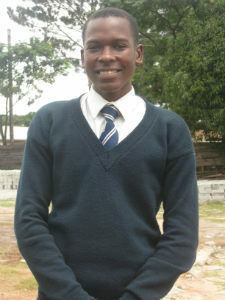 He is in Grade 12, which is the last year of school in Zambia. He studies English, maths, biology, chemistry, physics, geology and religious education. When he finishes school he would like to become a heavy duty engineer. Newton lives in an area where there are a lot of mining opportunities. Somebody came to Newton and talked about the orphan program and the opportunity to have sponsorship through school. He thought it would be good so they then talked with the grandmother and put him on the program three years ago. The program has helped with school fees, uniforms, shoes and tutoring in maths and English every Saturday. Newton says that his friends have a lot of problems with having no funds to go to school; he tries to encourage them through this struggle. Ennes attends Mutobu Basic School. She enjoys attending school because she wants to be educated. Her favourite subject is English. When she grows up she wants to be able to look after her mother and be a doctor. Ennes’ father has passed away and she lives with her mother. Her mother doesn’t have a job and stays home to look after her younger brother. She is able to sell scones sometimes. Ennes has five friends who all like to play netball and volleyball. 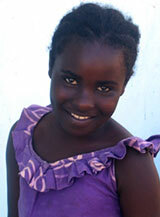 Ennes also enjoys coming on Saturday because she likes to learn about God and get tutoring for school. She also appreciates the help she gets to pay for school. Ennes says that there are many problems in Kalulushi. Some girls her age don’t go to school and hang around the bus station selling or drinking beer. Ennes says she has no worries except she doesn’t like 'eggplant or social studies'. Ennes is a delightful girl. She has lots of spirit and a sincere desire to help her mother and give to others.